SEMI-MSIG's MEMS & Sensors Executive Congress (MSEC) that took place from November 1-2 in San Jose, CA, focused on challenging industry executives to look beyond standard dividing lines of human-machine interaction. MEMS and sensors were greeted as the enablers for connected, pervasive and contextually aware computing and seen as drivers for an explosion of fresh possibilities and applications. Securing autonomous vehicles from hackers and refining crop yields in order to feed the 10 billion people who will live on the planet by 2050 were two common examples of new applications. 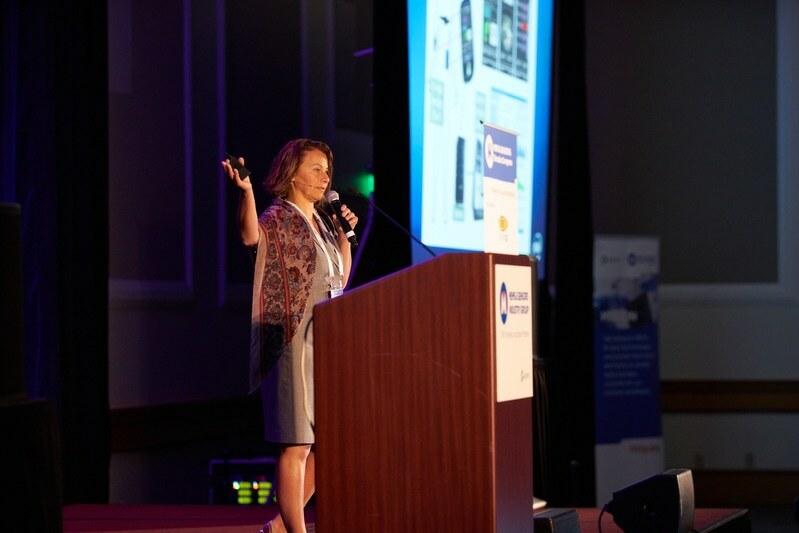 Lama Nachman, Intel fellow and director of the company's Anticipatory Computing Lab, discovered contextually aware systems during her keynote. Lachman expressed that technology needs to be more practical, anticipating various needs, for example, Google Now. One challenge exists in employing sensors in order to measure things for which they were not designed, such as physiology and emotions. Lachman exhorted MSEC attendees to produce more configurable sensors and systems so that they can be employed for various other applications and perhaps even drive the next "killer app." Lars Reger, CTO, NXP Automotive Business Unit, described the vital and wide use of MEMS and sensors in automotive connectivity, electrification, autonomy, and safe and secure mobility during his keynote. Reger noted that "motion sensors are the key to increasing security in keyless entry systems, reducing hacking." He concluded that "entering a new era of automated driving requires functional safety and security," telling MSEC attendees, "we need the best sensors to achieve a failure-free model in autonomous vehicles." Alissa Fitzgerald, founder and managing member, A.M. Fitzgerald & Associates, highlighted that the pipeline for developing technologies generally commences with university labs turning out proof-of-concept devices. "The next $1B product is lurking in a lab somewhere," said Fitzgerald. She also motivated attendees to explore key trends in developing technologies, citing "ultra-low power, a migration from capacitive MEMS to piezoelectric sensors and actuators, the stagnation of silicon sensors, and a movement toward paper and plastic sensors." She obtained her results from a review of over 500 papers from academic conferences, filtered for commercial viability. Henri Hekman, CEO and president of SoilCares BV, described how his company is employing MEMS near infrared (NIR) devices in order to scan soil samples. "To feed a surging global population, we cannot increase arable land so we must increase agricultural productivity. The place to start is in the soil." Hekman stated that SoilCares is performing trials in Africa and North America as it launches in 20 countries in 2017. From device-makers to commercial application developers, there was a collective buzz around ubiquitous intelligent sensing, speakers explored the critical role of sensing in more natural and immersive user interfaces, including voice, in interpreting emotion, in anticipating needs, in managing medication, and in providing safer, more secure ways to build autonomous vehicles that will actually save human lives. As we look toward 2018 and beyond, the MEMS and sensors industry will continue to work closely with the consumers of our products, as we help them to further advance human-machine interaction in meaningful ways. The Technology Showcase, a greatly awaited event at the Executive Congress, is a forum where four finalists compete for attendees' votes and the title of "winner." The 2017 Technology Showcase winner, Menlo Digital-Micro-Switch Technology by Menlo Micro, demonstrates basic materials' advancements that refine the speed, size, power handling and reliability of MEMS switches. Menlo Micro's MEMS-based switching element is considered to be the width of a strand of human hair, allowing RF switching 1,000 times faster and lasts 1,000 times longer than standard mechanical switches. Two new members were inducted by SEMI-MSIG into the SEMI-MSIG Hall of Fame: Raji Baskaran, path finding lead, Hardware and Software Co-optimization, Intel Corporation: Saffron Technology Group, and Kevin Crofton, executive vice president and COO, SPTS Technologies, an Orbotech Company.